Leonard E. Read, founder of the Foundation for Economic Education, was a great spokesman for liberty and an excellent teacher in the second half of the 20th century. Everyone agrees that Anything That’s Peaceful is his most inspired collection. His constant theme was that it takes human cooperation across the globe under conditions of liberty to produce even the most seemingly simple object. We dare not take it for granted. It was Read’s lifetime conviction that we all overestimate the efficacy of the state and underestimate the powerful and productive force of private enterprise. He understood the unpredictably magnificent effects that result from letting people trade, create, and cooperate within the free market. It is this which forms the basis of civilization. 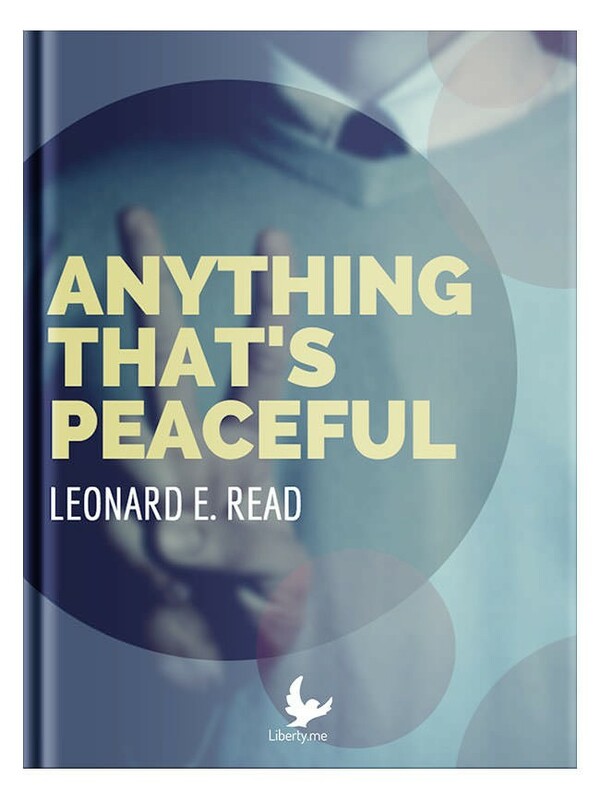 Read’s rule was that society should permit “anything that’s peaceful.” The costs associated with stopping peaceful activity always and everywhere outweigh the benefits. The lesson contained in Anything That’s Peaceful might be considered the very core of the classical idea of liberalism: namely, that society can manage itself in an orderly and productive way, and needs no outside intervention to improve its shape and direction. WTI returns with special guest Dale Brown. Mr. Brown is the founder of the Threat Management Center, a private-security firm based in Detroit that specializes in community service and non-violent conflict resolution.